They had not let him see her after the poison had taken her. Not let him perform the ritual cleansing. 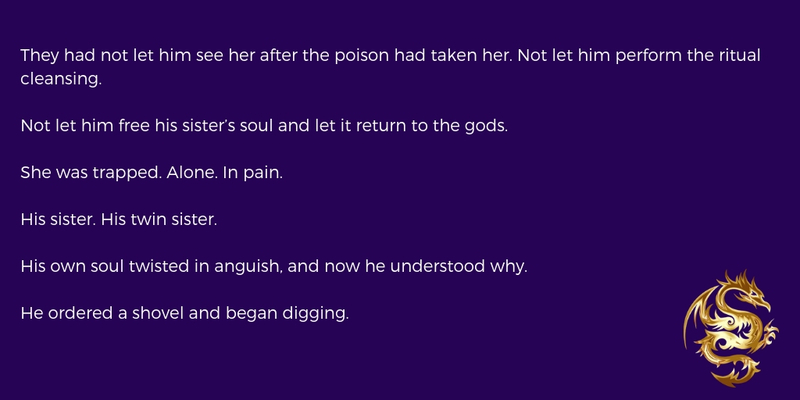 Not let him free his sister’s soul and let it return to the gods. She was trapped. Alone. In pain. His sister. His twin sister. His own soul twisted in anguish, and now he understood why. He ordered a shovel and began digging.